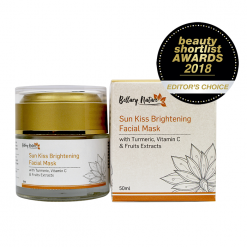 Fortified with a powerhouse of antioxidants-filled superfruits, tea and plant extracts that inhibits damaging free radicals and helps improve skin elasticity; Velvet Therapy Antioxidant exfoliating powdered clay mask treatment immediately softens and improves your skin texture to reveal firmer, more supple and healthier-looking skin. 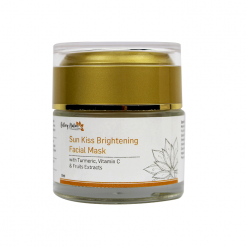 Gently polishes off dead skin cells and impurities for smoother, even-toned and more luminous complexion. 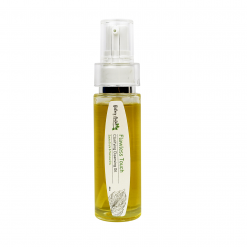 Natural skin polisher that enhances cells renewal and helps reduce appearance of fine lines and wrinkles. 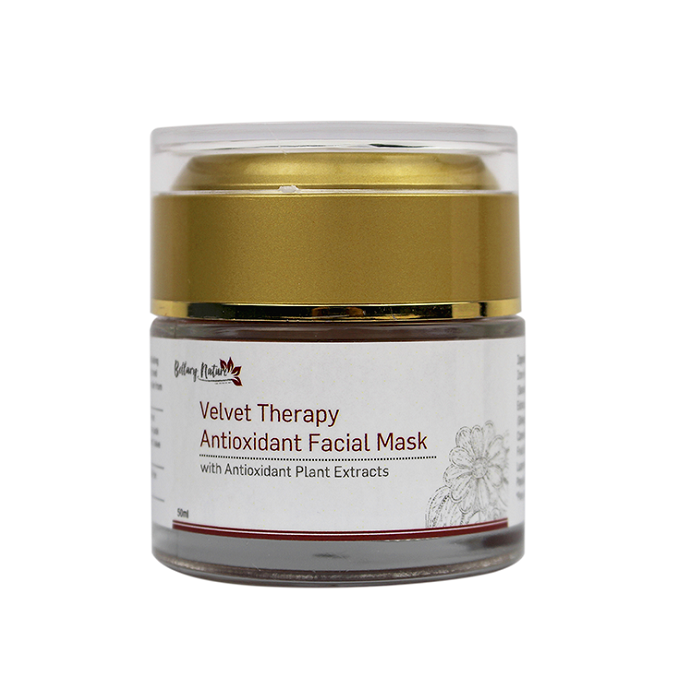 Helps improve skin elasticity and suppleness; giving your skin a lifted, firmer look. 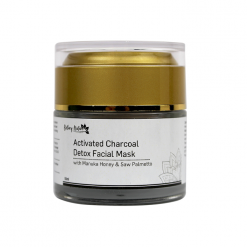 A blend of cleansing clays absorbs excess oils and impurities, sloughs off dead skin cells and tightens pores. 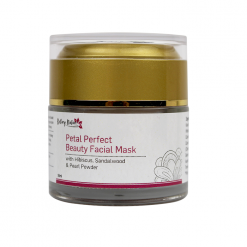 Sandalwood excels at preventing scar formation and protects skin from inflammation and tones the skin. Resveratrol is a powerful antioxidant and anti-aging powerhouse that neutralizes free radical damages, stimulates skin cellular renewal and reduces hyperpigmentation. 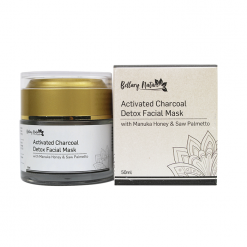 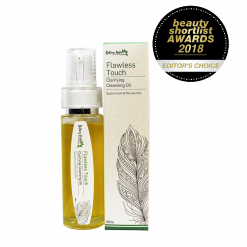 Gotu Kola (Centella Asiatica) is rich in saponins and flavonoids that firm, tighten, repair, rejuvenate and protect your skin from environmental stressors. 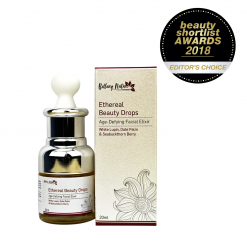 Ginkgo Biloba’s ability to protect helps revitalize the skin and reduce appearance of wrinkles and fine lines with its firming qualities. 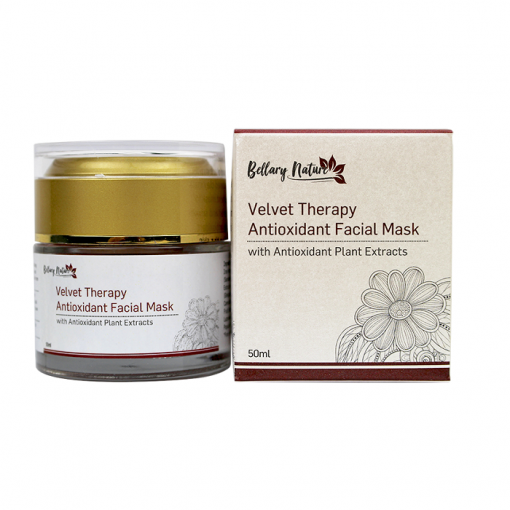 Green Tea contains catechins (such as EGCG) with an antioxidant capacity roughly 25-100 times more potent than that of vitamins C and E.
Bearberry is well loved for its overall skin tone whitening and brightening effects naturally and its ability to correct hyperpigmentation problems like age spots, melasma, freckles, etc. 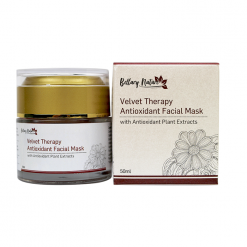 Bilberry’s strong anti-aging and antioxidant qualities protect the skin from visible signs of aging (wrinkles, fine lines) and keep it hydrated. 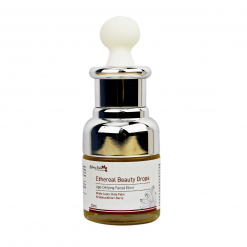 Suitable for all skin types; in particular aging or mature skin. 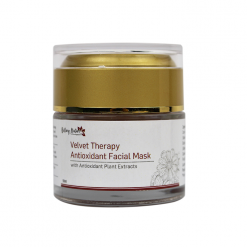 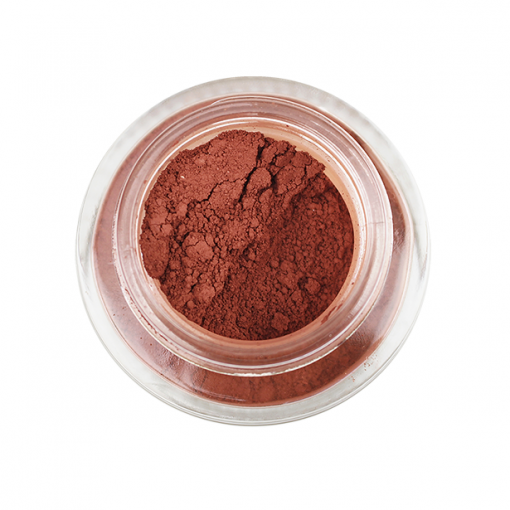 Ingredients: Kaolin (Australian and Kaolin Clay), Hematite Powder, Iron Hydroxide, Aluminum Hydroxide, Quartz, Santalum Spicatum (Sandalwood) Powder, Resveratrol, Centella Asiatica (Gotu Kola) Extract, Arctostayphos Uva Ursi (Bearberry) Extract, Ginkgo Biloba (Gingko) Leaf Extract, Vaccinium Myrtillus (Bilberry) Fruit Extract, Camellia Sinensis (Green Tea) Leaf Extract, Rosa Canina (Rosehip) Fruit Extract, Cananga Odorata (Ylang Ylang) Flower Oil*, Canarium Luzonicum (Elemi) Oil*, Aniba Rosaeodora (Rosewood) Wood Oil*, Populus Tremuloides (Aspen) Bark Extract, Potassium Sorbate.